Beneath the pomp and circumstance and celebrity spotting at this week’s Washington D.C. visit by Prime Minister Justin Trudeau, there was an actual substantive announcement between the head of Canada’s government and U.S. President Barack Obama. Called the “U.S.-Canada Joint Statement on Climate, Energy, and Arctic Leadership”, it set goals for implementing the Paris Agreement, co-ordinating domestic climate action, advancing climate action globally, establishing co-operation on clean energy, and for initiating a shared Arctic leadership model. Given the importance of such an agreement one would think that pro-climate action politicians would be giving a hand to politicians that announce their intention to contribute. And you would be wrong. It was a week for big meetings. 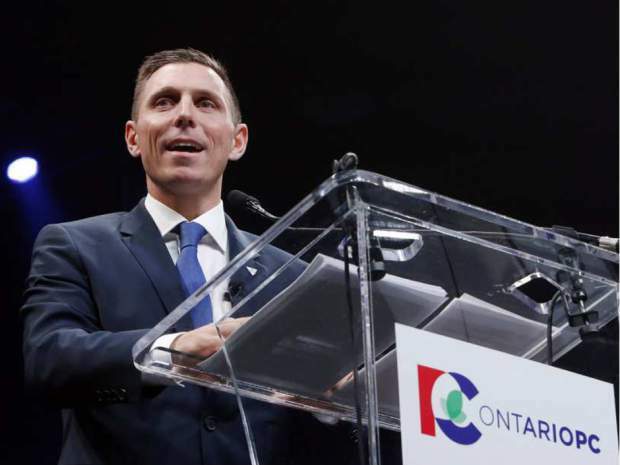 Last weekend, the Ontario Progressive Conservatives gathered in Ottawa for a policy convention, the first with Patrick Brown as leader. Brown has kept a low profile since being election as Tim Hudak’s successor last spring, and by low-profile we mean he hasn’t said anything embarrassing, inappropriate, contradictory, or might otherwise be saved on a server somewhere for future attack ads. But when he took the stage at the convention last Sunday, Brown did end up saying something controversial. For his audience, at least. According to media sources that were there, you could almost hear the sound of jaws hitting the floor. There was only scattered applause when Brown went full-tree hugger, and some people were even heard to gasp, “No,” but there and then, one of the country’s most powerful Conservative politicians said something climate critics have been dying to hear someone in Patrick Brown’s position say. It was bound to not score him any points in the home office, but you would have thought that the guy that sits in the office belonging to the Minister of the Environment and Climate Change might have offered Brown a tip of the hat at least. Okay, so it’s not an entirely unfair criticism. Since the October 19 election last fall, and Stephen Harper’s departure as federal Conservative leader, there’s certainly been a re-thinking of commonly accepted Conservative policy. Rona Ambrose has been spending her time as interim leader getting on the other side of just about every issue in the blue book: Inquiry into Missing and Murdered Aboriginal Women and Girls? For it. Gay Marriage? Why not? Legalizing pot? Why aren’t we doing it faster? For Brown, the calculation is a shrewd one. Ontario’s Conservatives aren’t nearly as conservative as those in Western Canada, so he has room to make a broader appeal. Certainly coping the playbook of the right-to-work Neo-Cons like Wisconsin’s Scott Walker did Brown’s predecessor no favours in the 2014 election, in fact many credit Hudak’s pledge to cut 100,000 public service jobs as the reason he lost the election. Climate change wasn’t a huge issue in that campaign, and not a lot was known about Hudak’s point-of-view on it, but a Sierra Club press release from June 2014 asked Hudak to clarify the PC position, meaning that even if the previous Conservative leader believed the evidence, he wasn’t explicit about it, and has lumped in with the opinion of his Federal counterparts on the matter. In a preemptive move, Brown has taken a political football away from Kathleen Wynne and Andrea Horwath well in advanced of 2018, and it still leaves him room to be critical of Liberal policy. And there is room to be critical. “Here in Ontario, we have a cap-and-trade cash grab that is simply another Liberal slush fund,” he said of the recent budget proposal to collect $1.9 billion in extra taxes on gasoline and home heating oil. The so-called “slush fund” is meant to go to “green initiatives,” but if there’s no completed projects that politicians can get a photo op with in the next two-and-a-half years, Brown can swoop in and make the appeal that he was right and can do better on the climate change file. Perhaps that’s why Murray was being all snippy on social media, he sees the long game Brown is playing. But in trying to throw shade on Brown’s intentions, he gave the Opposition leader a chance to take the high ground. “Instead of partisan cheap shots, they could have said, ‘I’m encouraged that we’re at a point in Ontario where all three political parties want to confront climate change,'” Brown said in The Star. And he’s right! How long have Canadian progressives asked, “When will Conservatives accept the science on climate change?” Well, there it stood last Sunday afternoon in downtown Ottawa. Motives, especially political motives, are rarely unselfish, but honestly, even if Brown’s proclamation is a political calculation does it really matter? Whatever the reason, he’s throwing in with 99 per cent of the world’s scientists, the majority of Canada’s provincial and territorial leaders, the current prime minister, and 55 world leaders that signed the Paris Agreement last December. How many times did Canadian environmentalists bang their heads against the wall because Harper refused to even say the words “climate change”? How many times did a Conservative environment minister duck and cover protesters, scientists, diplomats and anyone that wanted to talk about climate change? So now we’re going to attack a Conservative politician who’s agreeing with us on what should be, as Brown has now phrased it, a nonpartisan issue?